Various Tips & Tricks from other Players of the game. If you would like to submit a guide or write up, please email us. As you can tell from the different leader boards on servers around the world, everyone seems to be increasing their score by leveling up Great Buildings. Whether you like the points they give or think it’s causing an unfair ranking within the game, now you can see exactly how many points a level above 10 will give you on a particular Great Building. Check out the Tools drop down menu at the top of the page, and select “GB Points Calculator” to see what combination might make you the next #1 on your server! This entry was posted in Forge of Empires Game Tips on July 19, 2015 by ForgeDB. Many players are in GB Clubs in which you get 5 points per player in the team, one day a week, and you’ve been doing it this way for far too long with lackluster results. For one, there is always a teammate that will jump above the rest and “snipe” the top spot for rewards, or every starts donating a day early so they can be in the lead with the same FP given, then you’ll have a friend or a guildmate stop by, check it out, and top all of them and win back the #1 spot for only giving 1 or 2 extra FP and bumping one of the 5 members from a reward spot altogether. 1.) Only 4 people per team. 2.) Do a round robin style donation ring in which you complete 1 level before moving on to the next person. 3.) Pre-arrange the donations and rewards to keep it in balance and equal for everyone. One thing to note, is this works best when leveling up your Attack GB’s and doing them 1 at a time (Statue of Zeus, Cathedral of Aachen, and Castel del Monte), but it would work with any GB, if you all 3 have one at the same level in the beginning. Most of the time, when I start one of these groups, we will have someone with a Level 3, and say, 3 others that are working on Level 4. In that case, we would get the first person to equal level before starting the full rotation. I’ve done it where it took 2 levels to get them up to par, etc. But, in the end, it works out for everyone and is a truly fair donation scheme. Let’s say you have Player A, Player, B, Player C, and Player D and they all want to get to +90% attack, and they all have similar level GB’s. This list is to be used with the Reward Schedule posted below. As you can see, we start out with the person that has one that is 2 levels below par, and get them up to level first. As you use the above list to start the group, you follow this exact template below each time you are on that particular player’s GB, therefore the rewards are always pre-set for #1-#3 as you move through the donation ring. Player B, Player C, and Player D donate to Player A’s – 10 fp/day until it levels. Player C, Player D, and Player A donate to Player B’s – 10 fp/day until it levels. Player B, Player D, and Player A donate to Player C’s – 10 fp/day until it levels. Player A, Player B, and Player C donate to Player D's - 10 fp/day until it levels. In the end, you all end up with a Level 10 GB, and you each get equal rewards along the way and you can send out a guild notice once it gets close and let others snag the bottom two spots for cheap rewards, since the top 3 spots will always be locked in. You can set the daily requirement of Forge Points to any amount, and of course, the higher the amount the quicker your buildings will be leveled! This entry was posted in Forge of Empires Game Tips on June 21, 2015 by ForgeDB. I’m writing this guide because I realize most people who have an Alcatraz fail to maximize it’s offensive and or defensive potential. There are essentially three stages to maximizing the offensive potential of an Alcatraz. First you must delete or sell all military buildings except for your Rogue Hideouts. This does not mean destroy premium event buildings like Champion’s Retreats, But keep in mind you should always make sure you will have more Rogue Hideouts then other premium event military buildings so that your Alcatraz during this phase will make more rogues than any other units. The length of time you spend in this phase largely depends on your Alcatraz level and/or how depleted your unit reserves are. I personally aim to have a reserve of at least 1,000 Rogues at any given time. Once you stockpile the amount of Rogues you believe you need you can move on to the 2nd phase. Pick a specific age that you want to target for fighting, and then build enough military buildings of that age to skew the results when collecting from your Alcatraz to produce those specific age units. Once you have 50 to 100 of the two or three units from that age that you normally fight with, you can move on to phase three. *note: You will continue to accumulate a few unattached rogues each day during this phase. After following the above guide, you should be in good shape to go to war on your preferred map. When you are finished with your days or weeks of battle, you should be able to look at your troop count and evaluate if you need to build up a Rogue reserve again, or other units. If so, you should start back at step one. If you find that you still have a healthy amount of Rogues in reserve, then you should delete the military buildings from the age you were targeting, and start building units from other ages that you plan to use in the near future. There’s no reason to have Rogue Hideouts unless you will occasionally want to dabble in Guild vs Guild, or Player vs Player fighting. So save the space and don’t build them. 1.) Talk to your GvG leaders and find out what ages they need support in, then find out what type of armies they would like to have placed for defense in your sectors. Some armies are much better at defense then others. For Example: In the Contemporary Era 7x Assault Tanks and 1 CE Champion is better than 8 Anti-Air Vehicles or 8 Strike Teams placed in defense. 2.) Build the corresponding barracks, and do daily maintenance and check up of the map. As your Alcatraz levels up and your city grows, and you get ahead of that particular (GvG age) map’s upkeep, you can likely expand to covering more than one map. Usually the best armies in defense for any age are also good armies for offense also. Even though you may not have Rogue’s you’ll be able to fight off several sieges on your own after following this model for a few weeks. But, at the very least, with the daily checking of the maps, you will be able to send out an alert to your guild, and the fighters will jump to fight off any sieges that may be up. 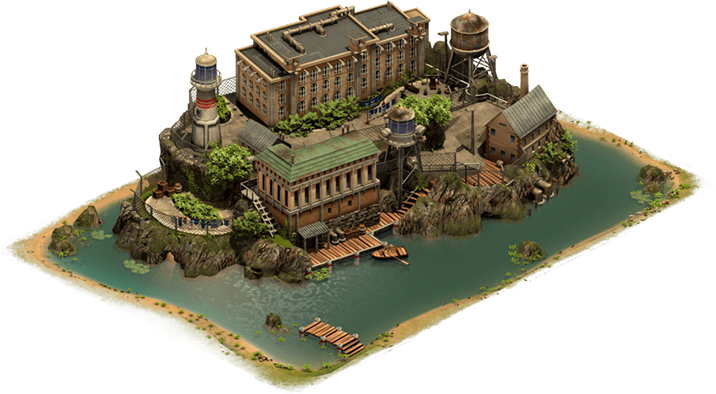 This entry was posted in Forge of Empires Game Tips on June 20, 2015 by ForgeDB. If you play many worlds, you surely have lost track of where you were at in a FP swap/trade with a friend. I have found the most effective way to keep track of these is using a Spreadsheet with conditional formatting. In the above picture you have a few elements, you have the days of the month running across the top, and then you have each of your swaps, whether it is just 1 daily swap, or multiple across worlds, and then a GB group or two. In this example, there are 3 daily swaps, and 2 GB groups. The green fields represent that the day was completed, the yellow means partial, and the red means it’s near the low end of the scale. When the month is up, you copy the sheet to a new tab, delete the data, and change the dates out at the top and start over. On my GB groups, I also re-color the cells red when I am done, so I don’t get mixed up, so when starting over, you would want to make all of those cells blue again at the beginning of the month. You can right click the cells in Google Sheets and choose “Conditional Formatting” and use a Color Scale and then input your minimum as 0, middle as 5, and max as 10, for a 10 point per day trade. You then assign the 3 colors you want, and you will get the same results as I do. Excel version of above Spreadsheet with flags and check marks. If you use Microsoft Excel you can even use flags, or check marks to represent if you have fulfilled your amount for the day. I have uploaded a sample of the spreadsheet I use to Google Docs and you are welcome to try it out! You can download the Excel version of the spreadsheet here.